Finally the pattern is finished. I’m really proud of my first circular shawl and it works as a parasol. The tutorial for building the parasol is HERE. My friend/model Jaqueline and I had some fun during the photo shoot. The weather wasn’t ideal, to cold and always looming rain clouds but we managed some good pictures. As expected we got a lot of strange looks. 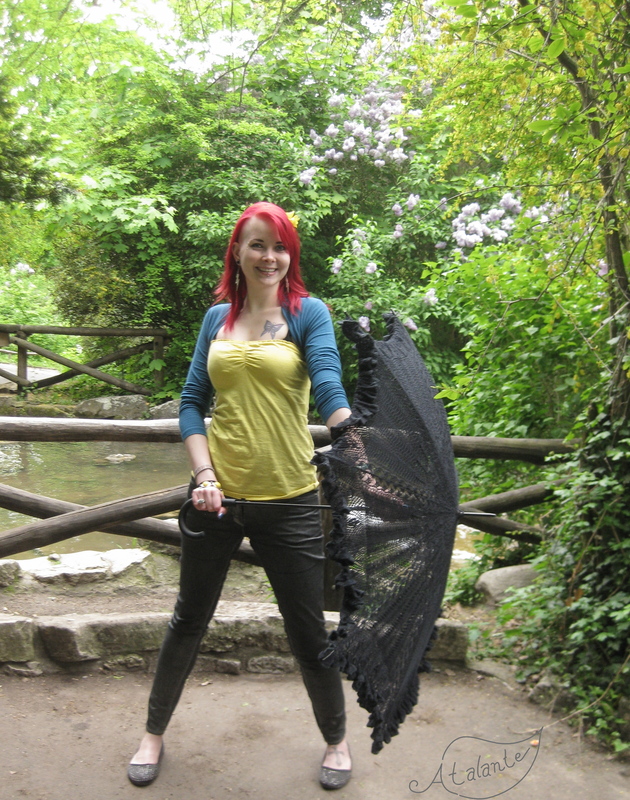 Some people asked about the parasol and were positively shocked to learn I made it myself. Posted in Designs, Tutorial and tagged design, fairy tales, knitting, lace, lady of the lake, once upon a time, parasol, Tutorial. Bookmark the permalink.